It's difficult to miss some symbolism in the pick. 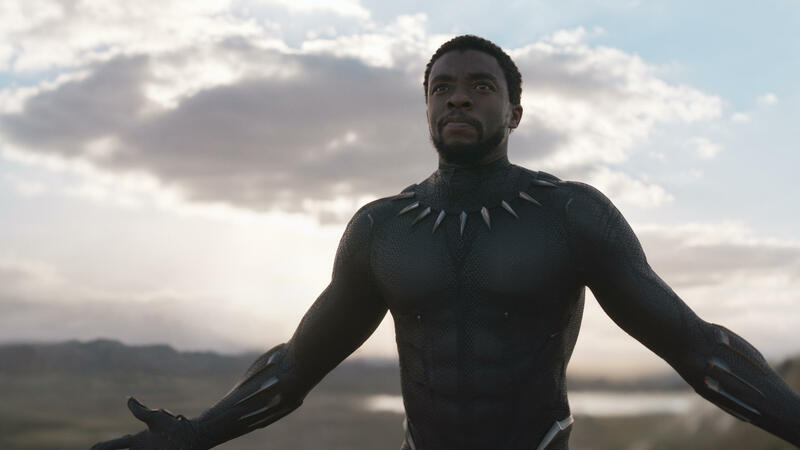 Crown Prince Mohammed bin Salman has projected an image not unlike that of the Wakandan King T'Challa, who dons the superhero's mask in the film: a young, innovative leader, seeking to use his newfound power to grapple with some of his country's more conservative traditions. Under his authority, for instance, the kingdom is lifting its ban on women in the military, at sporting events and behind the wheel. Now, critics may point to reasons the analogy doesn't exactly fit: The prince's authoritarian purges of high-profile Saudi officials, for one, as well as a Saudi-led coalition's aggressive airstrike campaign in Yemen, which under the yoke of war is experiencing one of the world's worst humanitarian crises. But the film seems a fitting vanguard for a proposed cinematic revival that's part of the prince's Saudi Vision 2030, a package of wide-ranging reforms aimed at diversifying the country's economy and liberalizing some its social policies. "The aim of Saudi Vision 2030 is to improve the quality of life for Saudi families by providing an array of entertainment opportunities," the Saudi minister of culture and information, Awwad Alawwad, said in a statement released by AMC. "The restoration of cinemas will also help boost the local economy by increasing household spending on entertainment while supporting job creation in the Kingdom." AMC says Saudi Arabia expects to open nearly 350 movie theaters by 2030. "But," NPR's Jackie Northam reports from Riyadh, "there is a lot to figure out before the first cinema opens." Two questions in particular come to mind, she says: "what types of movies can be shown here, and whether the cinemas will be segregated between men and women." It is also unclear how much, if anything, will be censored from the film. For Black Panther, meanwhile, the premiere merely adds to the case it has been building against the long-standing notion that American films led by diverse casts do poorly in foreign markets. The film already topped half a billion dollars in international box office last month. It won't quite be the first film to break the 35-year drought in Saudi Arabia, however. That honor was bestowed in a makeshift theater in January on The Emoji Movie.